Lana Wood (born Svetlana Nikolaevna Zakharenko Russian: Светла́на Николаевна Захаренко; March 1, 1946) is an American actress and producer born to Russian émigré parents, Nikolai and Maria Zakharenko. 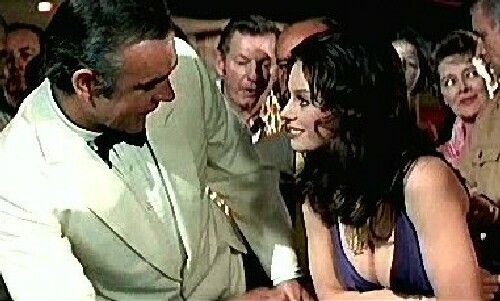 She is best known for her role as Plenty O’Toole in the 1971 James Bond film, Diamonds Are Forever. Her elder sister was film star Natalie Wood.